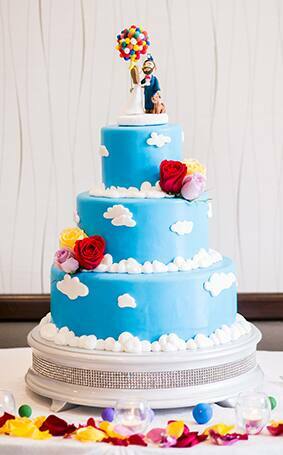 Naturally your wedding day is centered around love- but don't forget you're also about to embark on the adventure of a lifetime! Whether you begin your new life together on land or at sea, the "wilderness" (newlywed life) must be explored. 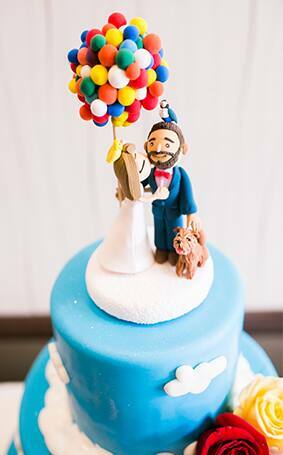 I adore how Disneyland couple Cassandra and Cesar shared their excitement for adventure via their wedding cake..and I know Carl from Disney Pixar's "UP" would most definitely approve!